The Intelmusic piano system is based on acquiring knowledge through experience. Intelmusic system is based on neurolinguistic programming and self control. The system is an excellent tool for accelerated learning. We use a multi-sensory approach that activates all the centers of the brain creating a solid system of neuro pathways. Our system connects the music to the students’ personal experience through metaphors close to them, so they can not only learn music but also feel it from the very beginning of their education. During the educational process the students learn the craft of piano playing and expand their imagination as well: “If I can imagine it, I can play it”. It is designed for BEGINNERS of all ages, as well as to enhance and improve the qualities and learning speed of those students at the INTERMEDIATE and ADVANCED levels. Our main motivation for creating the system was to “Make the art of piano performing accessible to everyone who loves music!” Our system is designed for everyone who wants to express oneself through music, anyone who wants to decode the massages left for us in the music already created, as well as to experience the joy of creating music. Often times traditional piano teaching is taught by a neighbor or musical teacher using basic methods of music scales. Here at Intelmusic we developed an innovative approach to learn the piano through science. We combine a unique formula of neuro-linguistic techniques with an imaginative approach to piano education. Through strength-building games we develop specific hand and arm movements, and the meta-cognitive coordination of ideas and actions. This combines the principles of a large-scale (popular) instrumental education with one extremely precise and contemporary approach towards the basis of the art of piano performing. The Intelmusic system offers accelerated learning techniques as well as provokes the will power of the students and gives them tools to become self- conscious, self-motivated, and independent. The system offers an accelerated learning approach attractive to students for its simplicity. As a direct result students greatly reduce inaccurate playing and significantly shorten the learning time of a piece. After learning the piece in a multi-sensory context, Intelmusic students practice the score on the piano. By activating the visual, tactile, and audio memory in this way, the apprehension associated with playing the musical score is considerably reduced.  The Intelmusic system is designed to bring almost effortless results, giving the students instant gratification, and building their high self-esteem. The Intelmusic system gives the students the tools for fast and secure learning, that takes away the self-limiting fears of public performance. Intelmusic transforms traditional piano techniques by including a multi-sensory coaching component. In contrast to mindless mechanical drills, many traditional methods employ, Intelmusic students make meaningful connections to original musical pieces. Using guided imagery techniques and rhythm-building exercises, the Intelmusic System develops strength, rhythm, and accuracy without physical impact or injury. Prior to actually playing the piano, Intelmusic students learn to create a musical intention and interpret the music in a sensitive way. The Intelmusic System consists of exciting and challenging pieces that provide strong teaching tools to promote a life-long love, understanding, and appreciation of music. Activating all the senses of the students (multi-sensory approach) and making them the main active force in learning. The teaching process tremendously shortens with time and effort to learn a new skill. Creating a flow in the learning process was one of our main goals. The musical and technical elements are carefully presented in the system as “building blocks” giving the students the chance to confirm what they already know and to discover the new element. “Printing” the information directly to the subconscious mind of the student gives an automatic response and feeling of ease and comfort (Neuronal networks established during music learning depend on teaching strategies). The choice is yours; “learning from your mistakes” or “learning by modeling and copying the experts (human excellence)”.